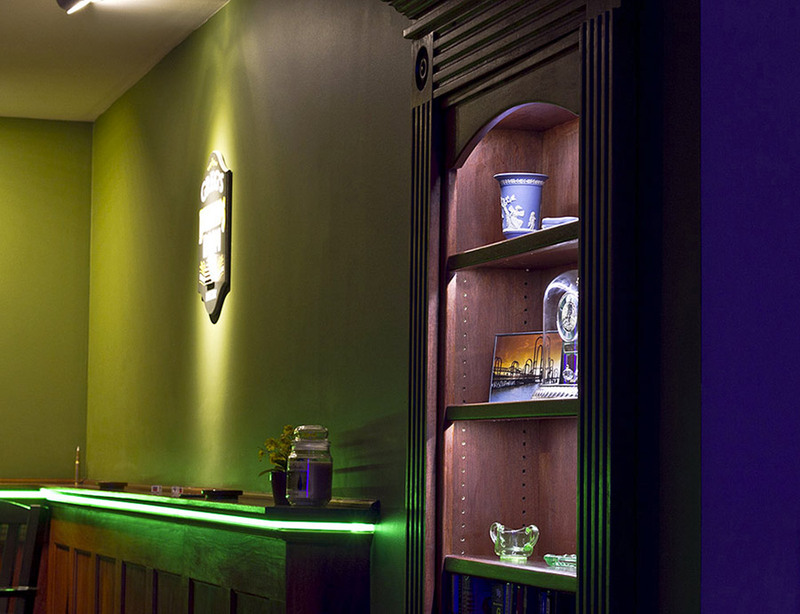 Linear LED Light Bar Fixture: Shown On In Red, Green, Blue, Natural White (Bottom Right) And Cool White (Bottom Left). 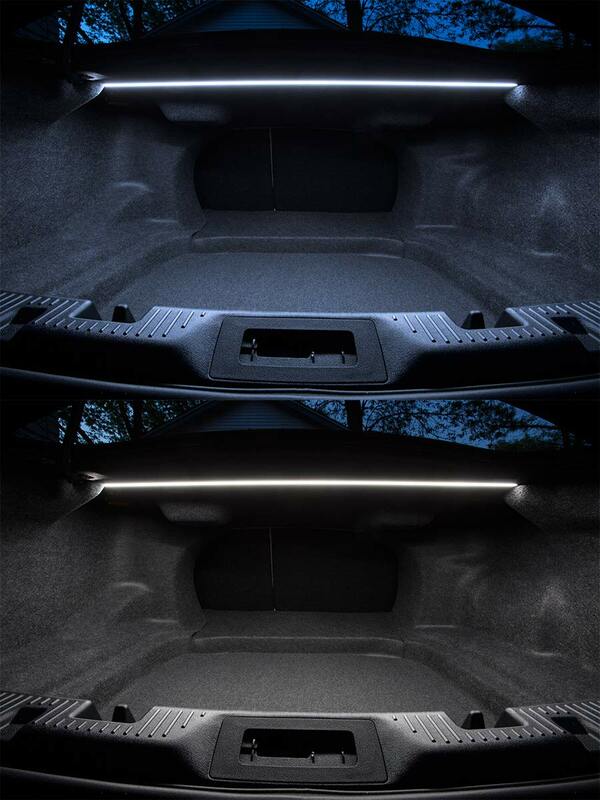 Linear LED Light Bar Fixture: Shown Installed In Trunk In Cool White (Top) And Natural White (Bottom). 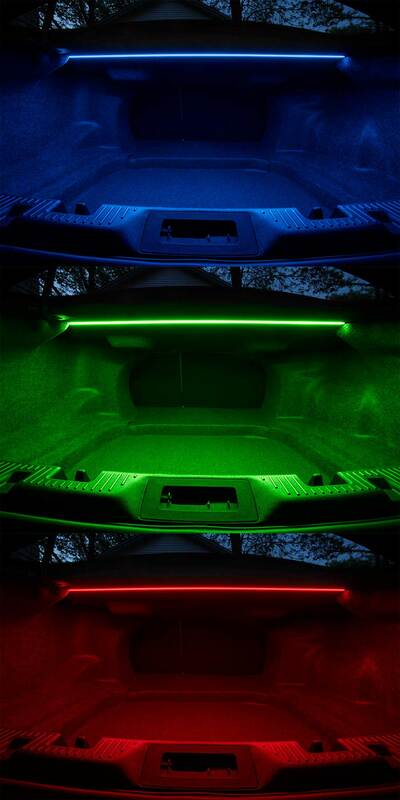 Linear LED Light Bar Fixture: Shown Installed In Trunk In Blue, Green, And Red. 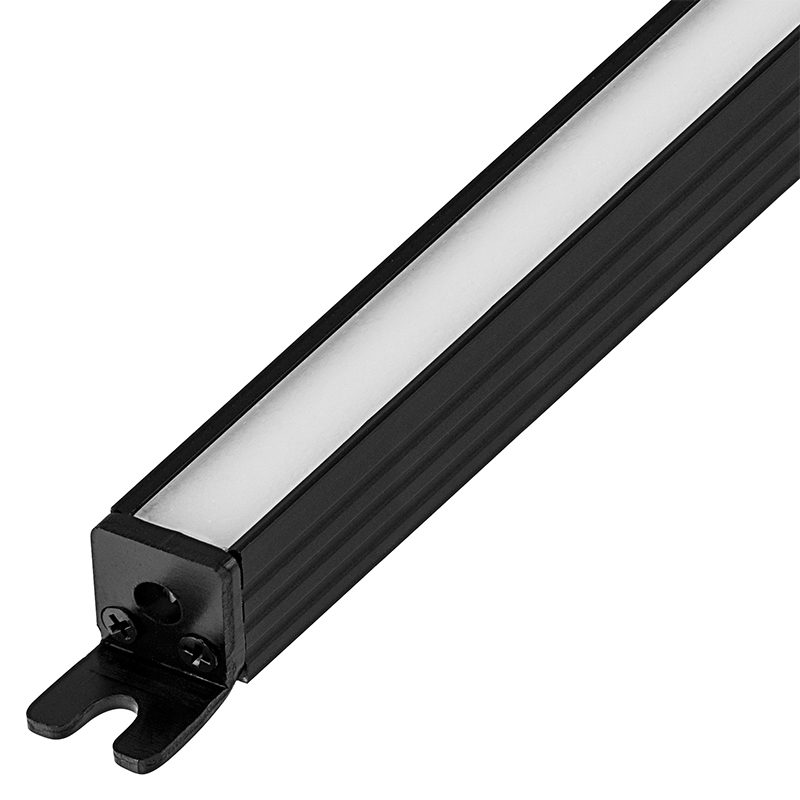 Linear LED Light Bar Fixture: Shown Installed In Kitchen Cabinets In Natural White. 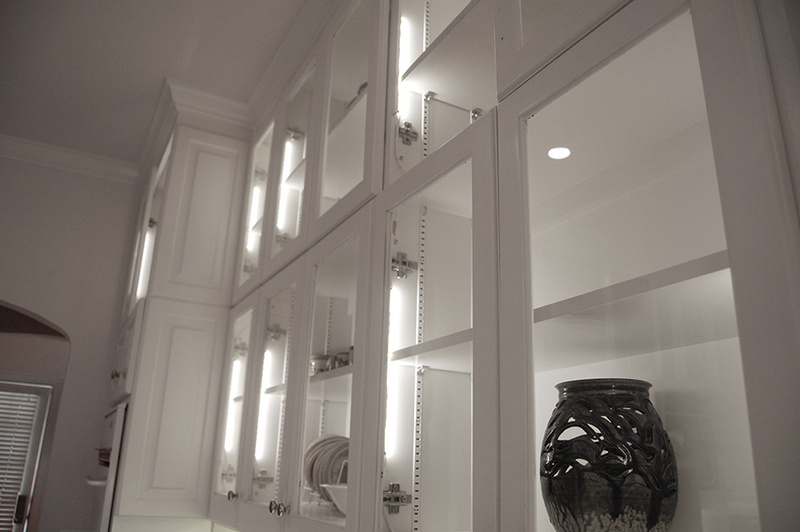 Linear LED Light Bar Fixture: Shown Installed On Bookshelf In Natural White. 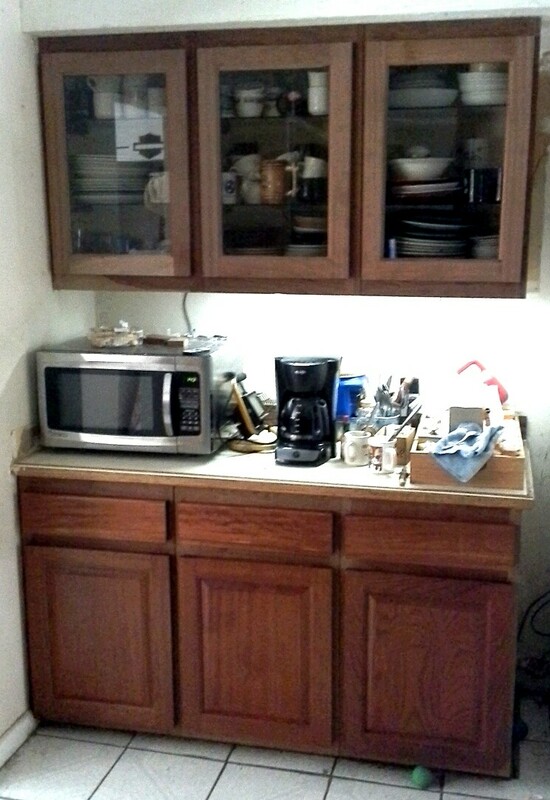 Linear LED Light Bar Fixture: Installed under cabinet's toe kick in kitchen on right side of dishwasher. 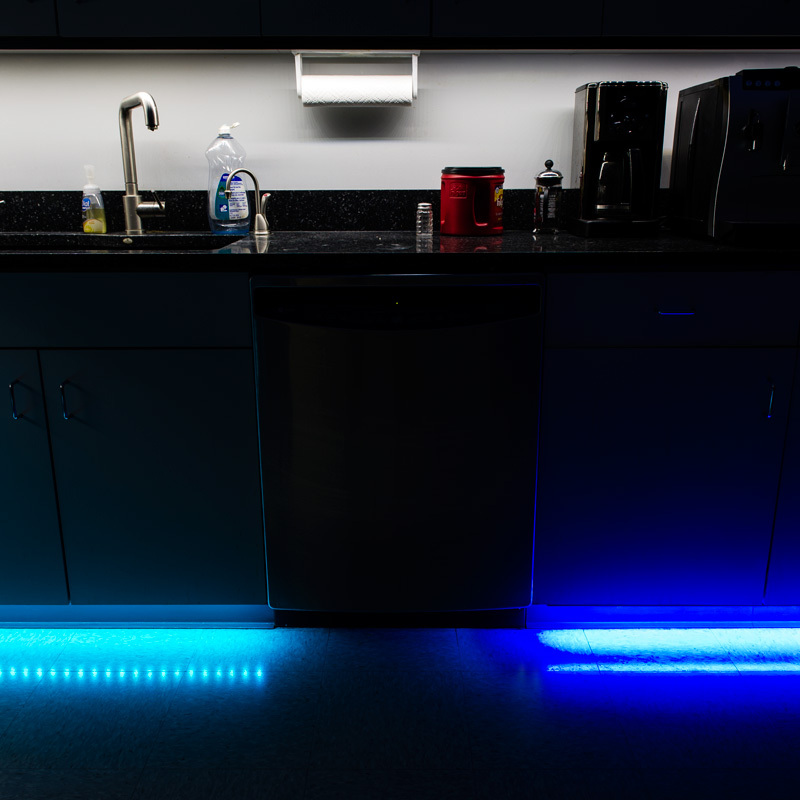 (Right) Shown Compared To Typical LED Strip (Left). 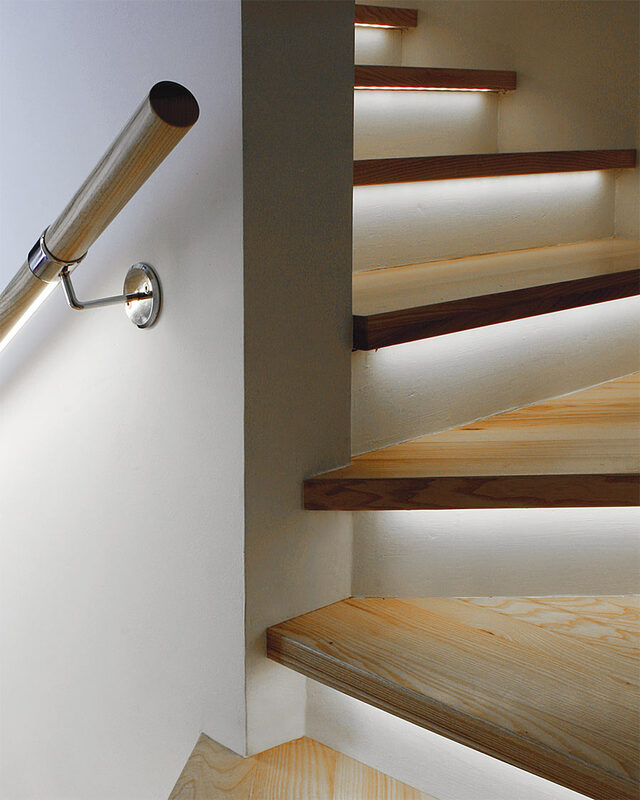 Linear LED Light Bar Fixture: Shown Installed As Stair Tread Accent Light In Natural White. 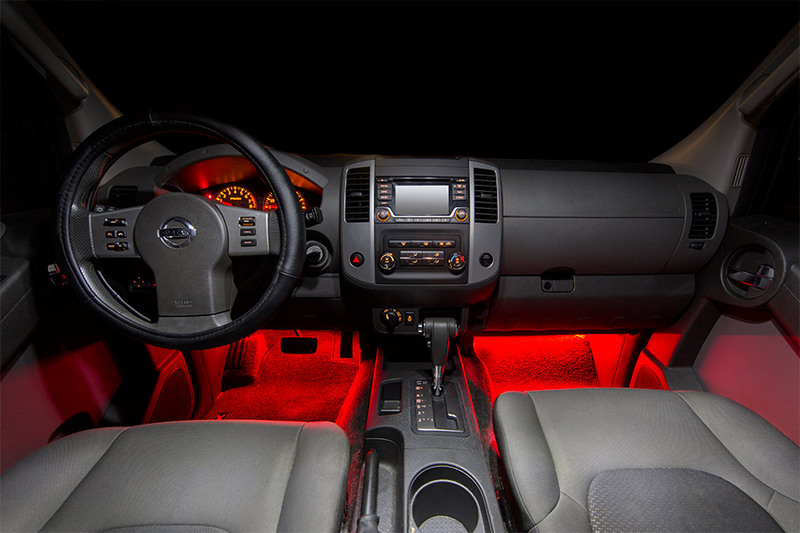 LuxBar Linear LED Light Bars are an extremely versatile solution for both automotive and indoor lighting needs such as cabinet lighting, under-cabinet lighting, interior vehicle lighting, bookshelf lighting, police/emergency vehicle task lighting, footwell lights, and trunk/cargo lights. 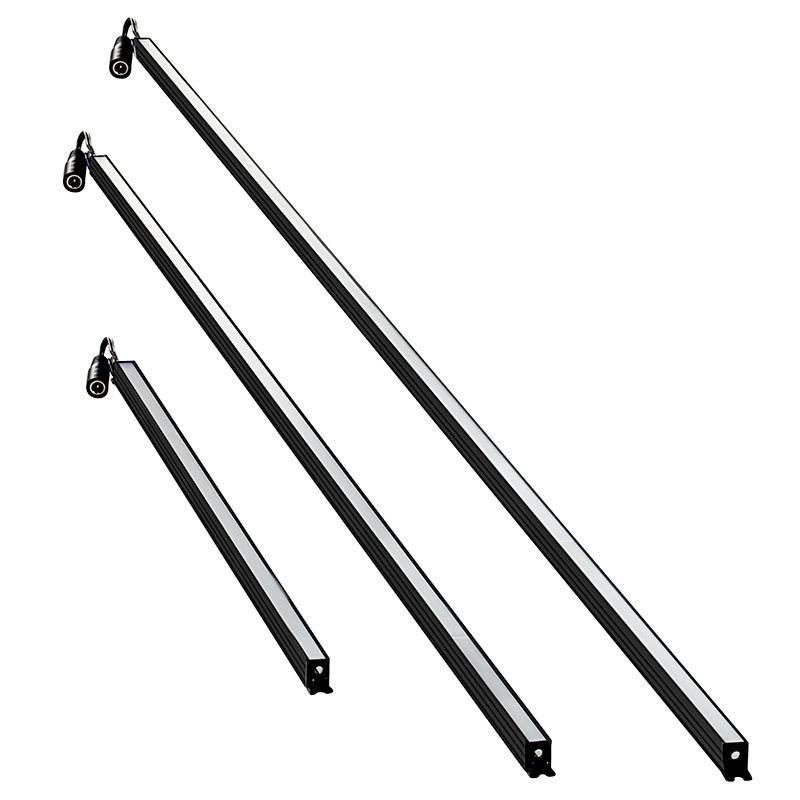 The aluminum fixtures are available in 18", 35", or 44" lengths, and the LED light bars deliver smooth, flawless illumination without visible bulbs or hot spots. Each light bar fixture has powerful 3014 SMD LEDs that emit up to 360 lumens of natural white, cool white, red, green, or blue illumination. 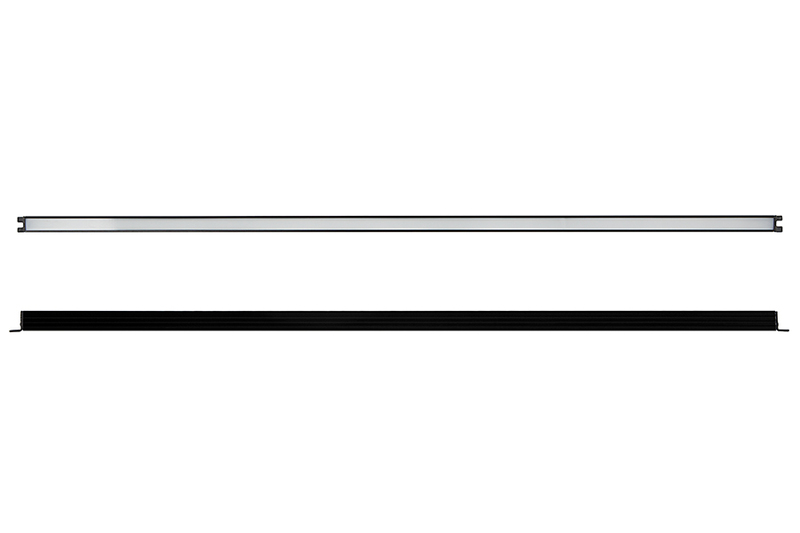 And with a CRI (color rendering index) of 84, light from this LED fixture will represent the true color of any object or surrounding. 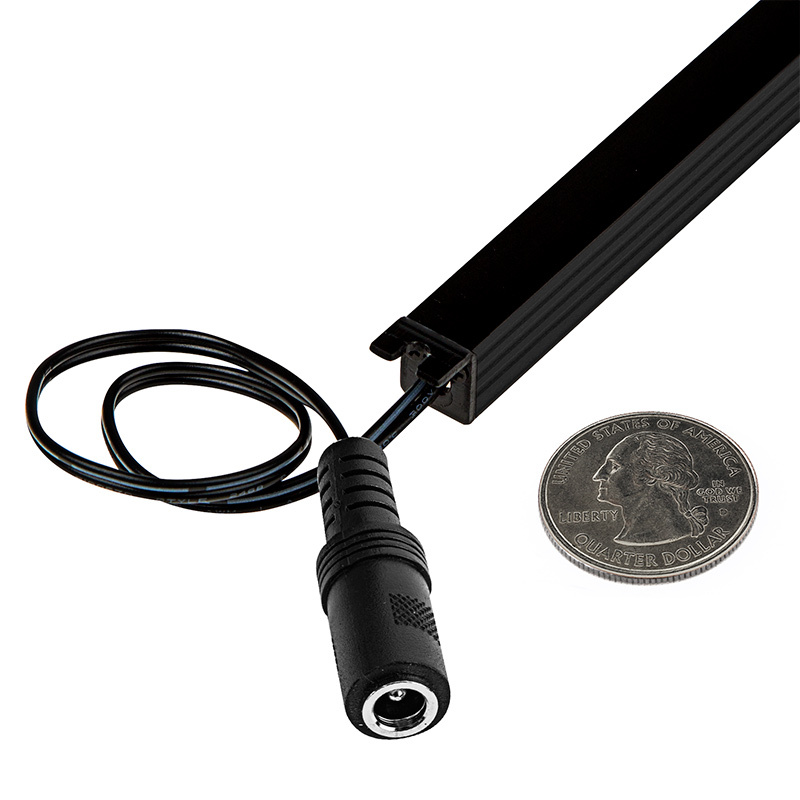 Each extruded aluminum light bar has screw mounting tabs on both ends and is equipped with a plug-and-play CPS connector. 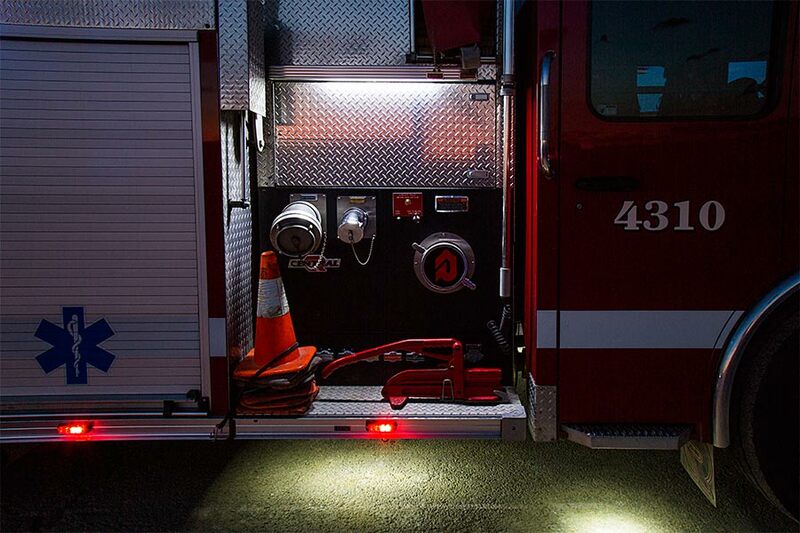 The non-weatherproof LED light bar fixture operates within a 9-14.5 VDC range to match your car's electrical system. 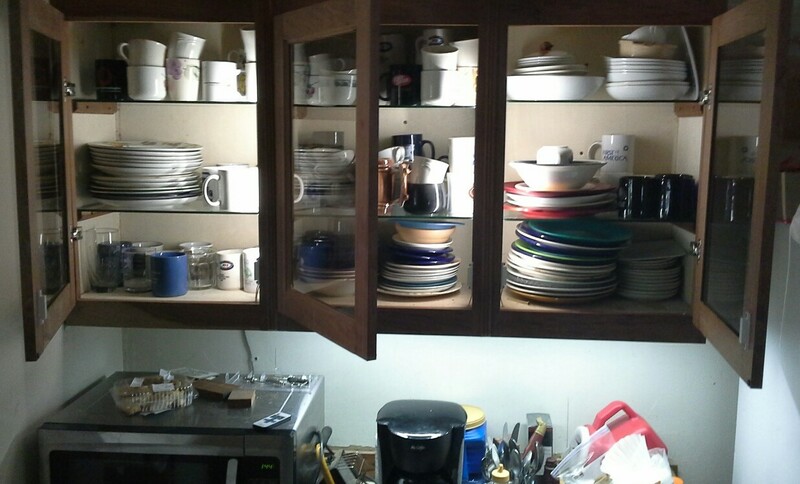 I'm installing about a dozen of these in and under the kitchen cabinets. The are invisible unless lit. With automatic mag reed sw's the strips come on upon opening and go out automatically, quite impressive. One bank of underlighting is remote controlled and the other two have the automatic 'wave' switches. Great light, easy to install. Installation tip: insert the first mounting screw (wire end) and drive it in leaving a gap under the screw head just little enough to get the mount clip under it. 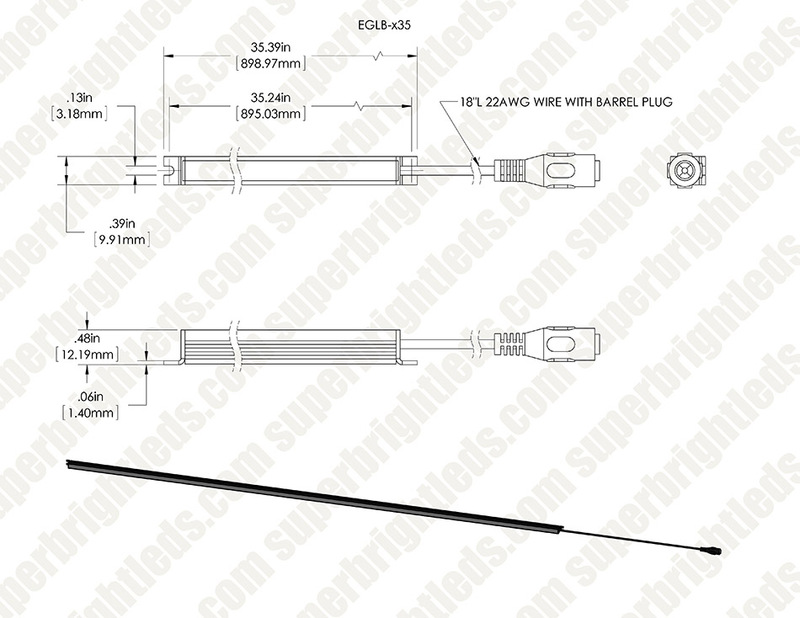 Insert the wire end and then drive the far end screw tight. 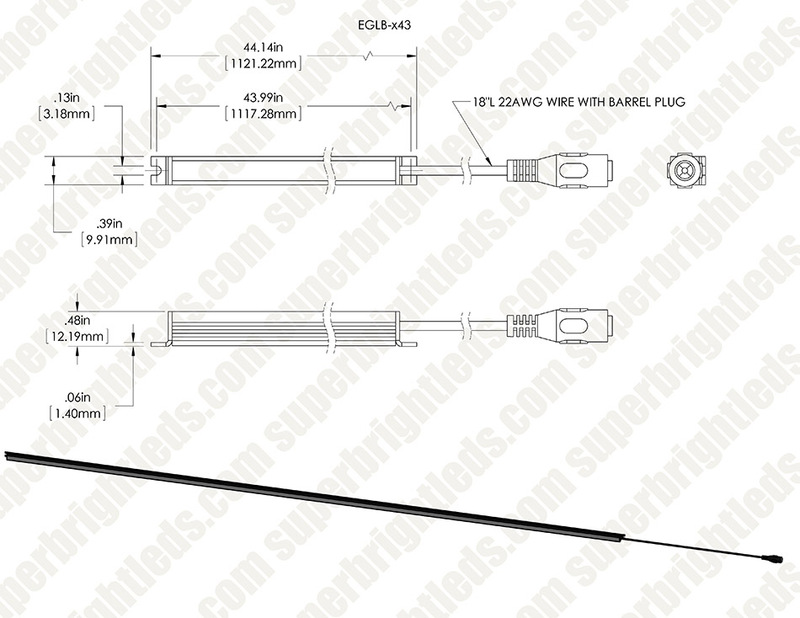 This will protect the wires from being scrubbed & frayed from the driver spinning. I purchased 3 red ones to put in my new observatory and they are great. 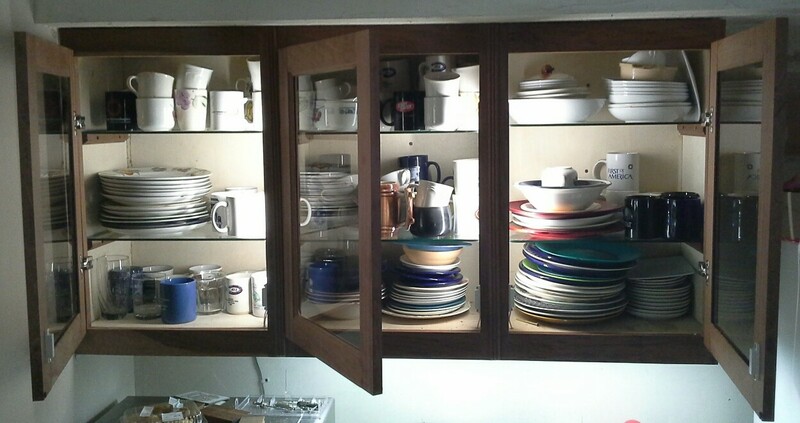 They were easy to mount, produce a lot of light, and I can dim them easily when needed. I installed a pair of 360 lumen SUPER BRIGHT LED light bars part # EGLB-NW18 on each side of a medicine cabinet mirrored door in a WINNEBAGO Travato 59K. The ceiling light provided in the bathroom is good but for shaving, placement or removal of contact lens, etc. the ceiling light above and slightly behind was just not good enough. that all changed when I installed the pair of these light bars. The milk-white lens in front of the natural light LED's in the extruded aluminum housing is providing the correct color and lumens for "facial maintenance". No glare. Just nicely balanced light where you need it. 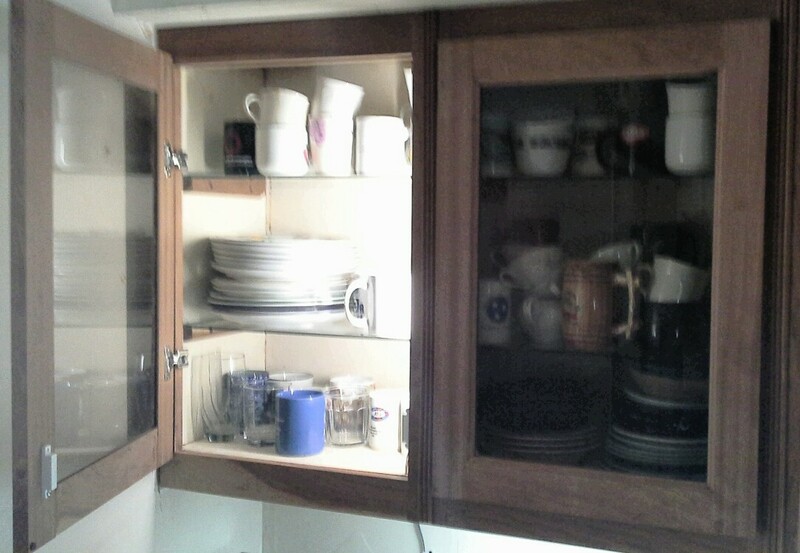 Let there be light ( in my cabinets )! Great item. 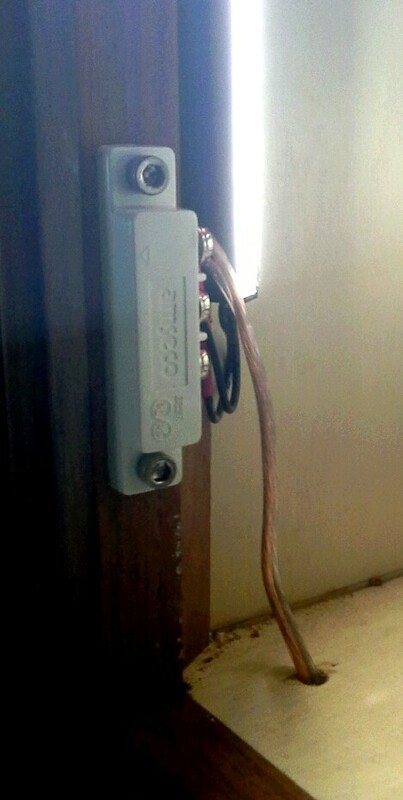 Mounted them in the corner of glass front cabinet along with magnetic switches for automatic on/off control. 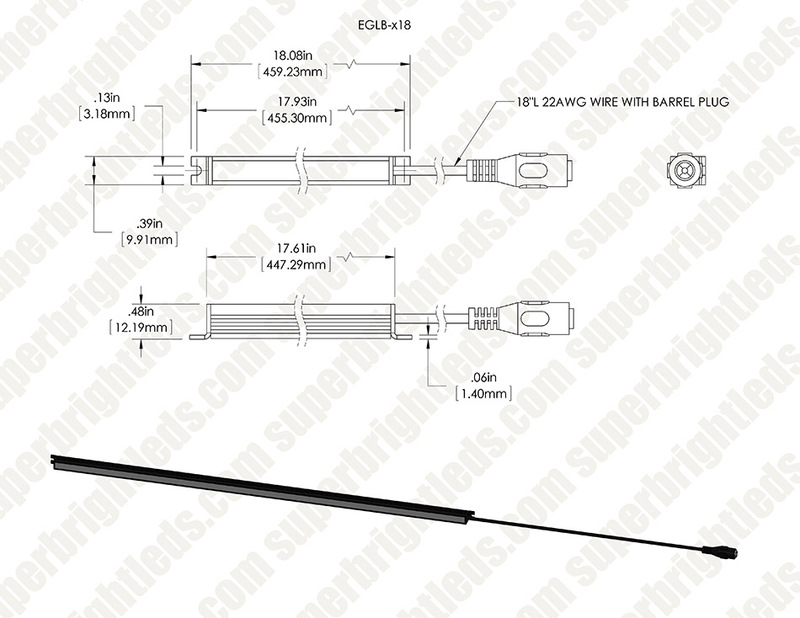 The doors have self closing hinges for smooth hands free operation.